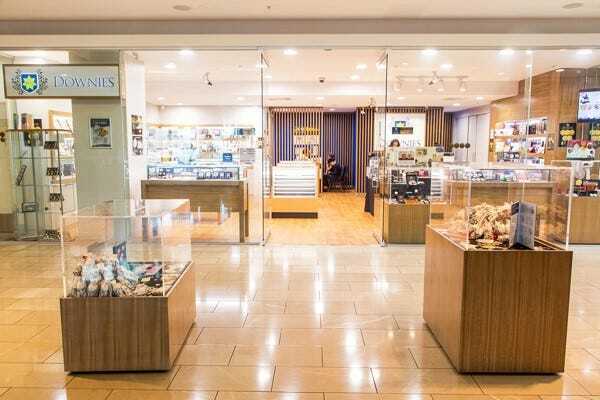 Downies’ Melbourne flagship store is here to help you as a collector or enthusiast! We can provide rich and meaningful information to assist you with all of your coin and banknote collecting needs. The store currently has an excellent range of coin collecting books on various subjects, from Ancient Greek coins through to the latest guide books on Australian coins and banknotes. Why not pick up a copy of the latest issue of the informative Australasian Coin & Banknote Magazine while you’re here? Best of all, the store has an in-store Numismatist, Steve Kirby. Steve is a coin collector himself, and is now in his 30th year of collecting! Steve is always happy to share his knowledge and assist with any coin and banknote questions or identification. He can also give you advice on buying coins and banknotes to help you build your collection – whether you are a beginner or long-standing collector. Steve has dealt with Australia’s rarest coins and banknotes including the Adelaide Pound (Australia’s first gold coin), the rare 1930 Penny, gold sovereigns and star decimal & predecimal banknotes. The Melbourne store is open 6 days a week – click here for location and opening hours, or to take a virtual tour!